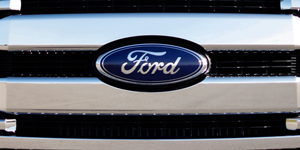 From the iconic blue oval on the grille to the innovative styling and advanced technology inside, the Ford you drive is built for the road ahead. But repairs and maintenance needs creep up on even the best vehicles, engineered to last. Other less-experienced shops may inhibit the pleasure of driving your Ford, but Precision Automotive Service strives to be different. Precision Automotive Service will make you feel the difference. Our technicians undergo the ASE-Certification process to ensure only the best trained repair technicians touch your Ford. Whatever your vehicle, our team is equipped to diagnose and repair your concern with skill and accuracy. Ford Repairs and Service at Precision Automotive Service feature Ford Genuine Parts, Motorcraft, or factory-approved aftermarket parts and fluids. To keep your Mustang galloping along or your Fiesta the life of the party, regularly scheduled maintenance is crucial. Let us keep you going. If your vehicle deserves the best service available for an affordable price, visit the experts at Precision Automotive Service.